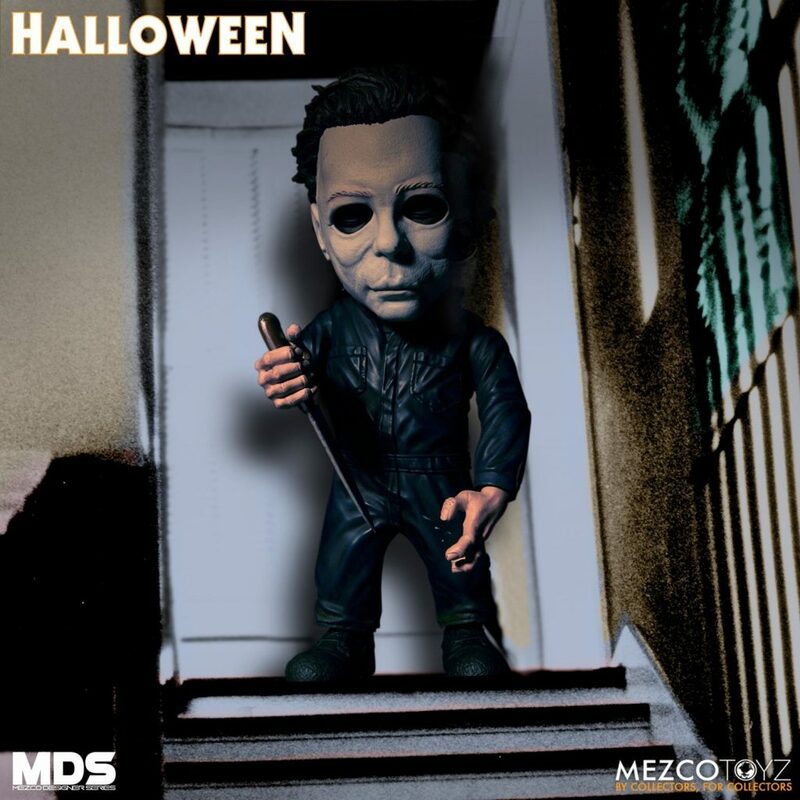 Mezco Toyz just announced two additions to its every growing “Designer Series” with their DELUXE CHUCKY and HALLOWEEN (1978) : MICHAEL MYERS, both highly stylized figures are available now on preorder. The homicidal doll we all love is back like we’ve never seen him before. Standing at a killer 6 inches and sporting the unforgettable “Good Guy” overalls, this “Lakeshore Strangler” features 8 points of articulation. 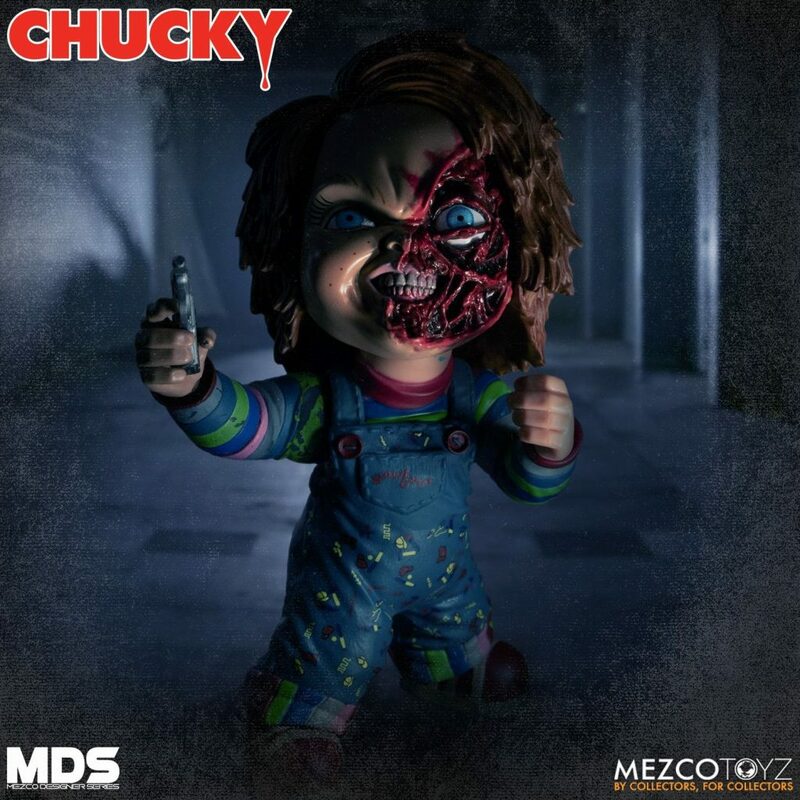 Two all-new head sculpts accompany Chucky this time around: a bloody-nosed smirking face straight out of Child’s Play 2 and the “pizza face” mutilated face from Child’s Play 3. 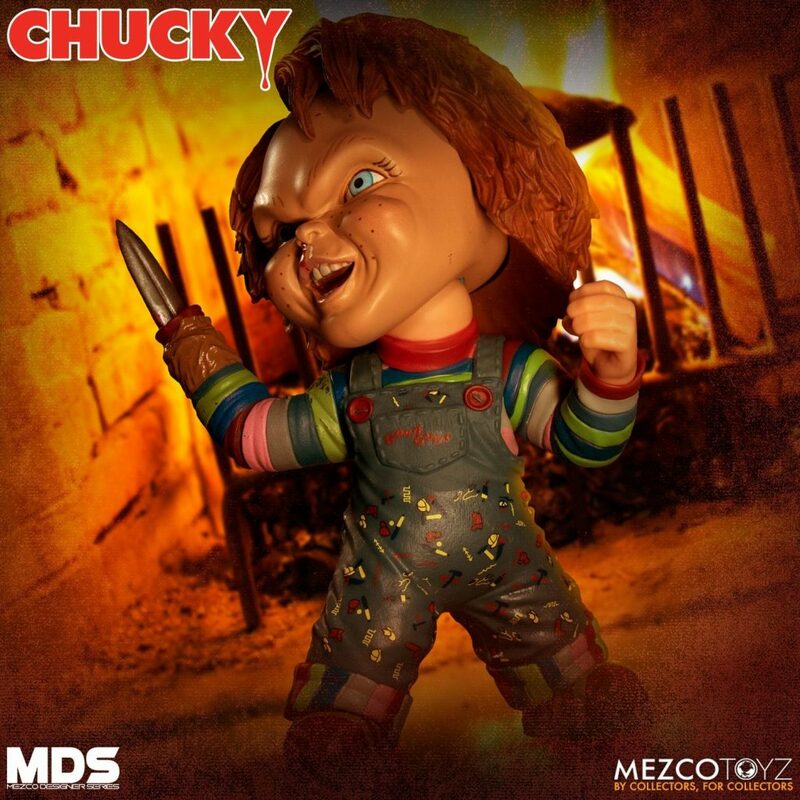 Chucky also comes with two extra interchangeable arms, one designed to hold a gun accessory (included with the figure) and his “knife hand” straight out of the films. Don’t worry, Chucky also comes encased in a die-cut window box for those who prefer to keep the evil inside! Expect this figure to ship May – July 2019. 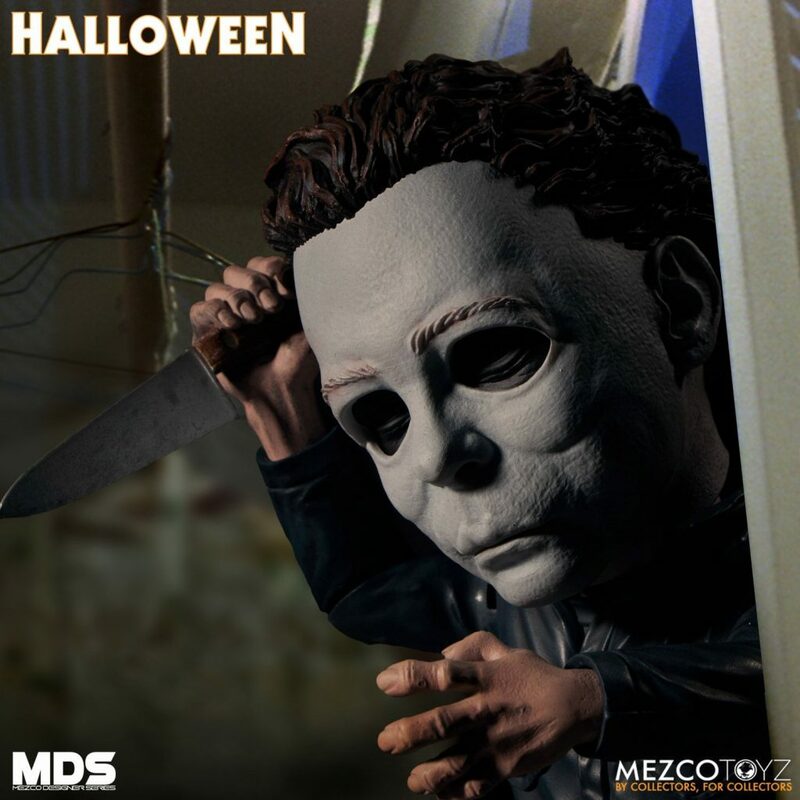 This classic version of the masked menace Michael Myers joins the Mezco Designer Series standing a scary 6 inches tall. Painted in his unforgettable blue coveralls and haunting white mask (dark eyes peer through the eye holes), the silent killer comes with 10 points of articulation.